Iran's Foreign Minister Mohammad Javad Zarif said Sunday that Israel was "looking for war", in an apparent reference to recent strikes against Iranian targets in Syria. 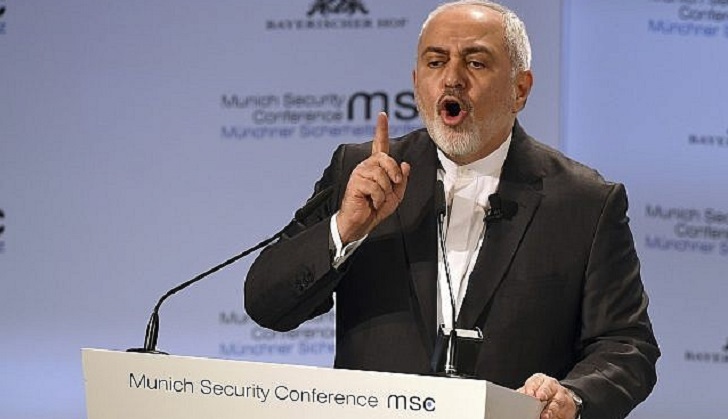 "Certainly some people are looking for war," Zarif said during a question and answer session at the Munich Security Conference, adding "Israel" when pressed to say who. Israel carried out a series of air strikes last month against what it said were facilities belonging to the Iranian Revolutionary Guards' Quds Force in Syria. "We are in Syria on the invitation of the Syrian government for the sole purpose of fighting terrorism," Zarif said.